Are you looking to open up your home by creating a seamless transition from the indoors to the outdoors? If so, a set of bi folding doors is surely the answer. Providing a clear opening of around 90%; such doors will leave your garden feeling like an extension of your internal living space. For the best bi fold doors, Barnsley has to offer, call Clear View today on 0800 1357167. In years gone by, traditional patio, French and sliding doors were usually the door of choice for most homeowners. These door types aren’t without their limitations, however. Limitations which bi fold doors for the most part overcome. Most notably, you’ll get more of a clear opening from bi fold doors. Barnsley customers can benefit from a clear opening of up to 90%. This provides clear and unhindered access to the garden and creates the illusion of more space while increasing the flow of light throughout. As such, bi folding doors are a fantastic investment that is certainly worthwhile. Here at Clear View, we take pride in designing, manufacturing and supplying Barnsley bi fold doors which are second-to-none. From your initial inquiry to the installation and final sign-off, you’ll be hard-pressed to find a more skilled purveyor of high-quality doors anywhere else. To learn more about our bi fold doors, Barnsley customers are advised to continue reading or to give our friendly team a call. The whole process starts with a face-to-face consultation in which we will discuss your requirements in more detail. Our doors are available in a wide range of colours and styles, so you’ll have no trouble finding the right choice for your home. We design the strongest, most lightweight bi fold doors Barnsley has to offer. Comprised of high-quality aluminium, they are easy to open and close and fold up in a concertina-style when open. At Clear View, we understand that not everyone’s requirements are the same. For this reason, we provide bi fold doors in Barnsley which are available in a wide range of configurations. We’ll factor this into the design and once sorted provide you with a fully itemised quotation with no obligation to commit. If you choose to proceed with using our services, we can complete the design, manufacture and installation of your new doors in under four weeks. 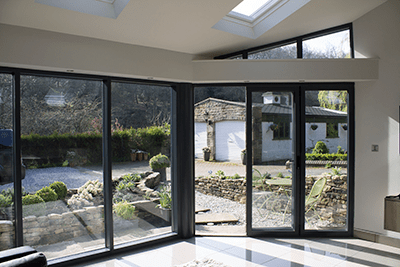 Why Choose Clear View for Bi Fold Doors Barnsley? 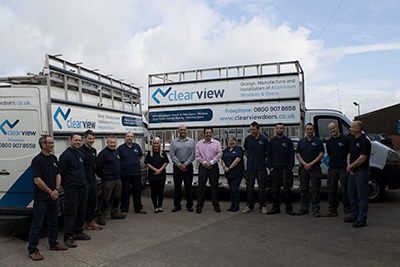 Established in 2010, Clear View has built a reputation over the last eight years that sets us apart from all of our competitors. This reputation comes from the exceptional service we provide as well as the products we supply, all of which are of manufactured to the highest standards by our creative design specialists. To ensure consistently high levels of quality all our bi fold doors in Barnsley are manufactured in-house. Naturally, we want you to be completely confident in the doors that we supply you with. As such, all our doors are fully guaranteed for your peace of mind. 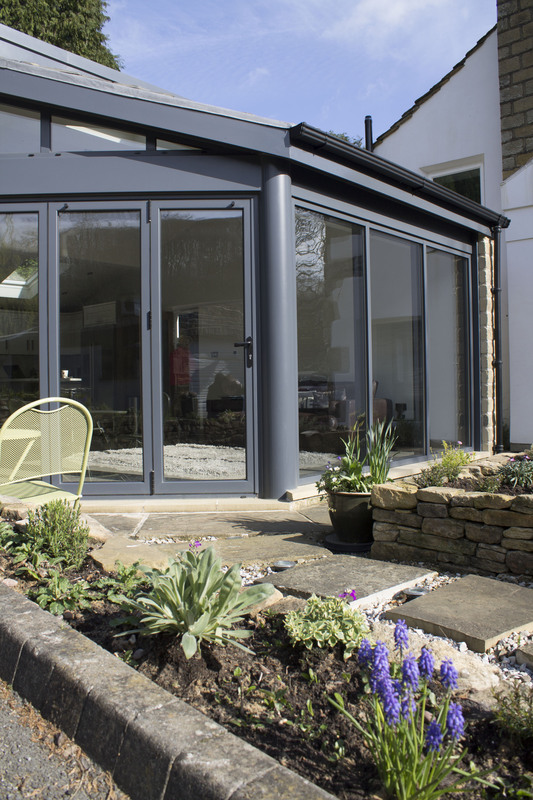 Plus, our Barnsley bi fold doors specialists are all fully insured, so you can be confident that we will accept full accountability for any issues that arise. Issues are a rare occurrence for us, however, as our team consists of highly experienced and qualified engineers who really know their stuff. So, if you require an incredible new set of doors built by industry-certified professionals at prices that are highly competitive, look no further than Clear View. Call Clear View today on 0800 1357167 and see what makes us the leading choice for supplying bi fold doors, Barnsley will simply love.